Lebe Law is dedicated to passionately representing employees and protecting them against injustice in the workplace. We fight for employees who are the victims of discrimination, harassment, retaliation, wrongful termination and wage theft. We will be your advocate and ally in aggressively pursuing your maximum financial recovery. Jonathan M. Lebe is the president and managing attorney of Lebe Law. Mr. Lebe represents employees and whistleblowers seeking redress for discrimination, harassment, retaliation, wrongful termination and wage and hour abuses in single-plaintiff lawsuits and class actions. Before starting his own firm, Mr. Lebe was a Deputy County Counsel with the Santa Clara County Counsel's office, an associate attorney at a litigation firm representing public and private employers and an associate attorney at a litigation firm representing employees in class actions. Mr. Lebe has significant experience litigating high-stakes cases in state and federal court. He received his Juris Doctorate from Santa Clara University School of Law. While in law school, Mr. Lebe was a legal extern to the Honorable Nandor J. Vadas of the U.S. District Court, Northern District of California. 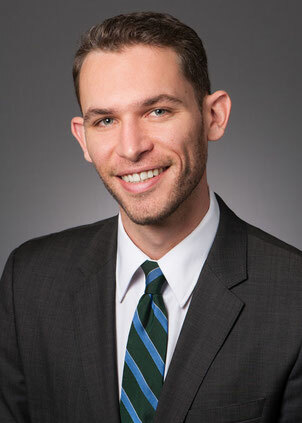 Mr. Lebe also had legal internships during law school with the Civil Division of the U.S. Attorney's Office and the Complex Litigation Division of the San Francisco City Attorney's Office. Mr. Lebe received a double B.A. in Political Science and International Studies from Northwestern University. While in college, he was a Communications Intern for Senator Max Baucus (D-Montana) with the U.S. Senate Finance Committee. Lebe Law is dedicated to passionately representing employees and whistleblowers. At Lebe Law, we fight for employees who are the victims of discrimination, harassment, retaliation, wrongful termination and wage theft. We will be your advocate and ally in aggressively pursuing your maximum financial recovery. Jonathan M. Lebe is the president and managing attorney of Lebe Law. Mr. Lebe represents employees and whistleblowers seeking redress for discrimination, harassment, retaliation, wrongful termination and wage and hour abuses in single-plaintiff lawsuits and class actions. Before starting his own firm, Mr. Lebe was a Deputy County Counsel with the Santa Clara County Counsel's office, an associate attorney at a litigation firm representing public and private employers and an associate attorney at a litigation firm representing employees in class actions. Mr. Lebe has significant experience litigating high-stakes cases in state and federal court. He received his Juris Doctorate from Santa Clara University School of Law. While in law school, Mr. Lebe was a legal extern to the Honorable Nandor J. Vadas of the U.S. District Court, Northern District of California. Mr. Lebe also had legal internships during law school with the Civil Division of the U.S. Attorney's Office and the Complex Litigation Division of the San Francisco City Attorney's Office. Mr. Lebe received a double B.A. in Political Science and International Studies from Northwestern University. While in college, he was a Communications Intern for Senator Max Baucus (D-Montana) with the U.S. Senate Finance Committee.